Now if we could clone Abe Lincoln et al to replace the current crop of "leaders" I'd be all for that!! Actually I saw a show on the Discovery Channel that said volcano's erupted and caused the earth to go dark. I forget the name of it but it was a really big super volcano. That makes more sense than global warming or climate change. Change I don't nor never will believe in. I have lived too long and nothing in the weather has changed. It just goes in cycles. Are u serious?? ?hv u NOT been watching the news...there's drastic weather changes all around the world!it hasnt rained for the past 3years in my country and farmers are paying 4 it..we hv people starving!but hey i guess u hv to be affected by the climate change for u to ACTUALLY believe it! never will? way to keep an open mind to reviewing any new evidence that comes along. I would like Abe Lincoln back too. He was a republican. @LWR... true...besides it wld probably be a waste of money anyways!am totaly FOR the Elvis idea though!! What are they going to feed it?hw will they recreate its natural habitat...what if they cnt contain it?they shouldnt be messing wth nature..sm things are better left unknown! What a wasteful research is this? Instead of wastin ur time,money & energy over a cloning of Mammoth dat has no use 2 humanity why wuldn't u carry-out a research dat ll b of benefit 2 us. Yusuf: You lhave an extremely egocentric world view. Yusuf: Please go back on your meds! I couldn't understand a word you were slurring in your post. DON'T post and drink, my friend! This whole topic makes me think It may be well worth assembling a large store house of Human DNA along with samples of every other living thing that exists on this planet and load up several space probes with it. It could be shot out into space on randomly selected vectors. It would have to be properly shielded to protect it from Radiation and other hazards, but It could exist indefinitely in the cold of space and hopefully some time long after our Sun has died some sufficiently advanced race may find it and clone it. Or maybe not????? This is fantastically exciting! 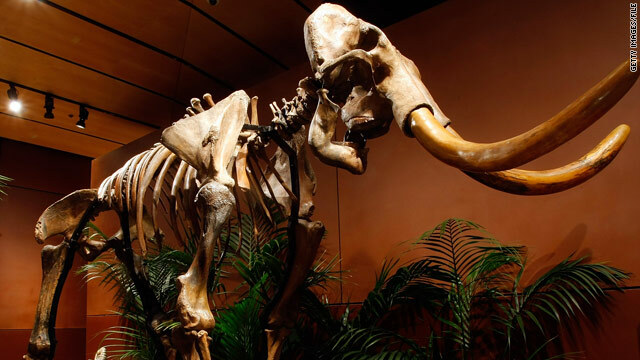 It would be wonderful to see mammoths walk the earth again. You know that expression "Let sleeping dogs lie"? Yeah...seems like a good idea. There's a wooly mammoth in my pants ! I think they should clone something that WE made extinct. Bring back the DODO! Interesting, the species that made them extinct wants to bring them back lol how ironic. If they succeed will it fall under endangered species and be protected? It might end up being a totally new species.